Pets had chewed the leg of customer's bench. We sent a tech to her home and repaired on site. 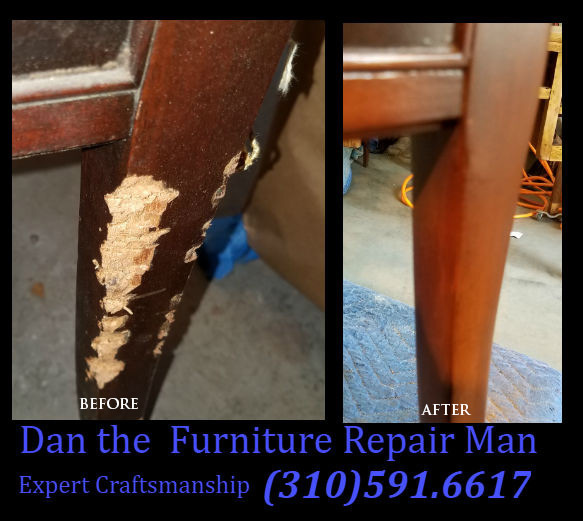 If you are looking for Antique Furniture Restoration in Long Beach, CA and surrounding area, then please call 310-591-6617 or complete our online request form.